Animal cloning has developed quickly since the birth of Dolly the Sheep. What do Dolly and her fellow mouse, cow, pig, goat and monkey clones mean for science? And for society? Why do many people respond so fearfully to cloning? This book addresses these and other questions by grounding what is an interdisciplinary conversation in solid science. A distinguished collection of papers by leading scientists and bioethicists on the science and social issues realted to large-animal cloning, the propspective medical benefits for development of pharmaceuticals in transgenic animals and of organs for xenotransplants, and the implications for thed so possibility of human cloning. Klotzko is among the best and most careful reporters on the development of large animal cloning, and a bioethicist with excellent connections to all the major workers in the field. 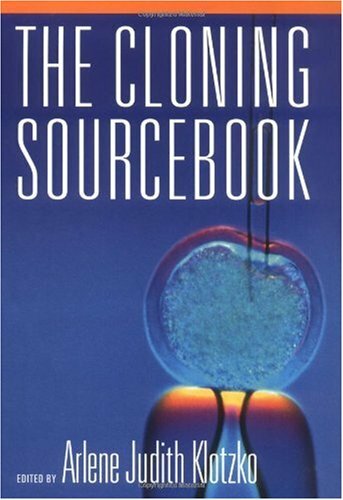 The book provides a more thorough and authoritative assessment and explanation of what has been done and what is in prospect than any of then other books that have reported on animal cloning. There isn new progress in the cloning of other large mammals, including monkeys, along with scientists who are trying to clone humans. These new developments and efforts will ensure that the subject remains in the public attention over the next couple of years.